We love hearing from our customers about how much they save on their cell phone bill with US Mobile. It makes us so happy that we decided to launch a campaign dedicated completely to our customers and their savings. Share your savings on social media for a chance to win $100! Get creative! Our favorite post will win $100 credit redeemable on our webshop or your next month’s plan. Competition will close on Monday, July 4. 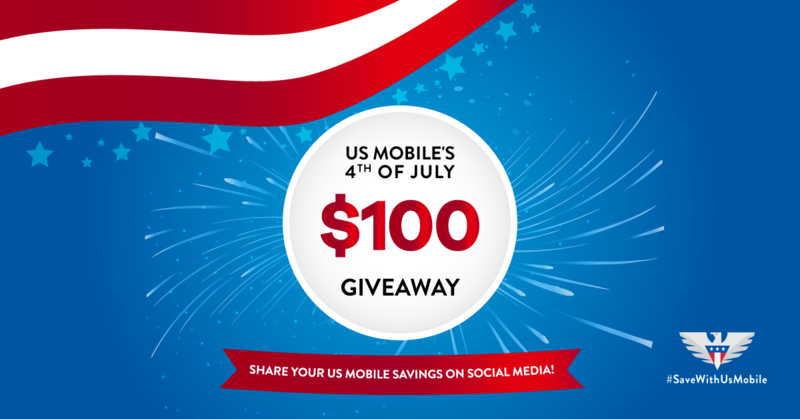 What better way to celebrate the 4th of July than with $100 towards US Mobile? Competition details listed below. Good luck! *Must be a resident of the United States and have a Twitter and/or Facebook account. Winner will be selected at 5PM ET on July 5 and announced on this blog post and on our social media accounts. 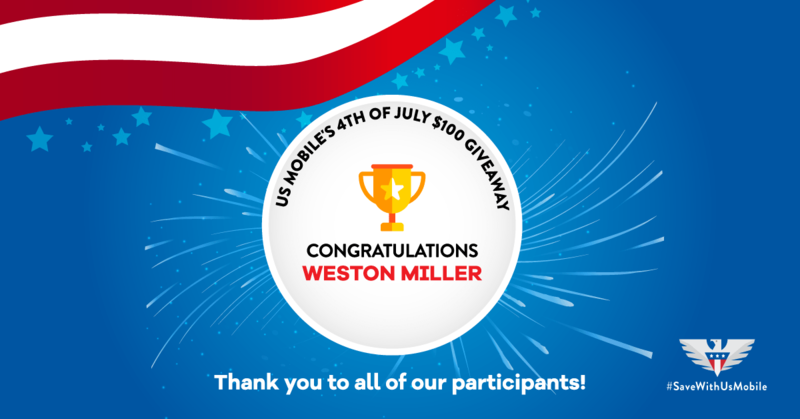 Congratulations to winner, Weston Miller!